Getting your quotation from TLC is easy. Either call me on 07973 278624 or send e-mail to peter@tlcupvc.co.uk to arrange for a visit OR simply take a digital photo/s (mobile 'phones cameras are probably the easiest ) of the area of work for which you would like a quotation and e-mail it/them to me at the address above. If you do have a rough idea of size this will be helpful along with any simple details of the property you have to hand such as the age of property and whether or not it is a listed building. TLC specialise in ensuring that the replacement church windows and glazing meet the most stringent of green credentials to assist in minimising the property's carbon footprint. Full details of the specification will be provided with every quotation. 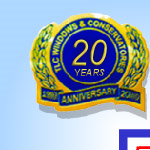 TLC travel countrywide to undertake window and door replacements and providing conservatories as additional meeting/class rooms, atriums and covered walkways. Please note that TLC offers a replacement window service and is not able to quote for repairs to existing installations.